An Olympic silver medalist from the 2012 London Games, 7-time U.S. National Champion, former world record holder and two-time Pan American gold medal winner. 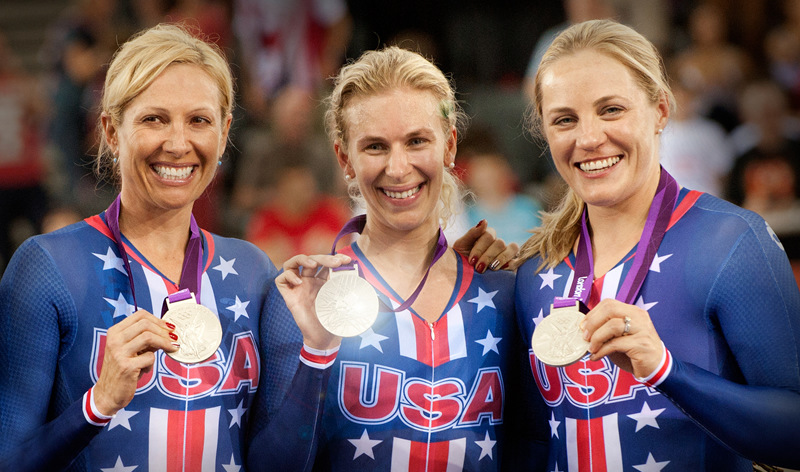 After spending 10 years as a member of the U.S. National Road Cycling Team, Bausch tried track cycling for the first time in 2007 and surprised by winning two national titles on the track that same year. 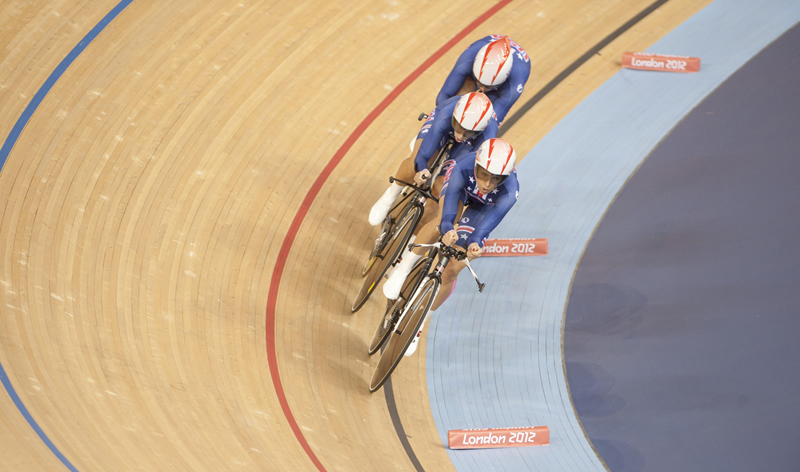 Her success on the track continued as she was part of a world record-breaking ride along the way. 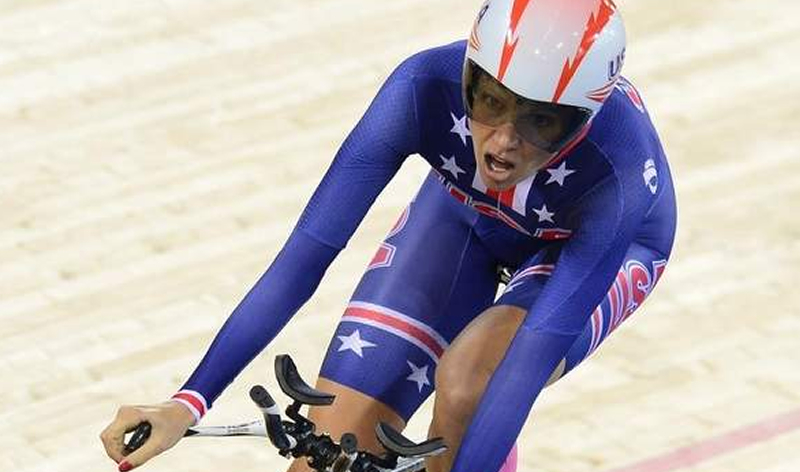 In 2012, Bausch realized her dream of becoming an Olympian by competing on the track at the London Games where she won a silver medal in the team pursuit, a first for the United States. Bausch’s hard fought journey to the Olympic Games is shared in the documentary film “Personal Gold” (www.personal-gold.com), which follows four underdog women who became America’s hope for a cycling medal following the withdraw of Lance Armstrong’s teammates from the London Games. The film premiered throughout 2015 at international film festivals worldwide and won numerous awards. While Bausch has scored major victories on the bike, perhaps her greatest victory came from resurrecting her own life from the depths of severe eating disorders, which threatened to take her life 20 years ago after a promising modeling career in New York City. It was during her recovery that she discovered her passion for cycling. Bausch’s inspiring personal story has been chronicled in the media and she makes herself available to support women and men around the world in their battle to return to healthy eating and living habits through her free mentorship program. In 2012, Bausch was named the National Ambassador for NEDA (The National Eating Disorders Association). Additionally, she serves as a mentor for young women eyeing the professional ranks through the Network for Advancing Athletes and is an executive board member for the Women’s Cycling Association. Bausch’s most proud passion is her staunch advocacy and tireless work on behalf of animal rights. As a vegetarian athlete, Bausch stood on top of the podium at the Olympic Games just five months shy of her 40th birthday, the oldest athlete ever in her discipline. Now as a vegan athlete, Bausch speaks around the world on the many health benefits of plant-based eating for athletes and anyone who wants to feel young and have endless energy and vitality. 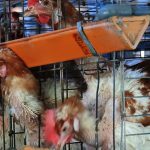 She is a vociferous supporter and volunteer at Mercy for Animals and is in the midst of creating an educational, adventure-based reality TV show that follows the anatomy of farm animal rescue. Bausch has a popular TEDx talk titled “Olympic Level Compassion,” which can be viewed on her website and has already garnered over 100,000 views. Bausch believes we create the world we want to live in every day by our choices. One of the most readily available choices we can make is with our daily food. We have the power to create a cruelty-free world by selecting vegan options. Bausch often talks about being vegan as an aspiration to live as kindly and compassionately as possible, and as an opportunity to live in alignment with our core values and beliefs. 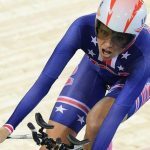 In addition to her advocacy in cycling, eating disorders and animal rights, the Louisville, Kentucky native is also a color commentator on the NBC Sports Network and a motivational speaker. Alongside her husband, Kirk, she co-owns Bausch Haus Inc., a consultancy focused on sports technology market development, sales forecasting, data mining and analysis, and creating efficient growth solutions. Bausch resides in Irvine, California with her three dogs (two blind and one sited) Minnie, Yodi and Lola. More detail about Dotsie, please go her website http://dotsiebauschusa.com/, watch TEDx “Olympic Level Compassion”.